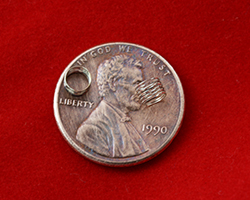 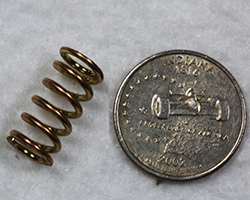 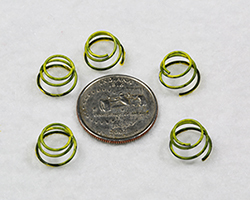 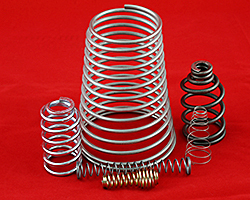 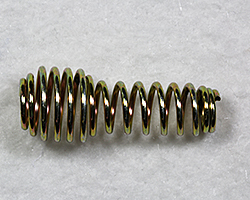 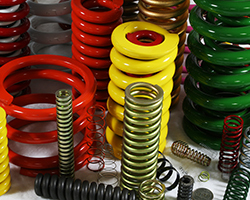 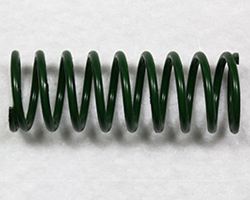 Myers Spring compression springs feature wire ranging from 0.005"- 0.750" full hard and 1.200" annealed. 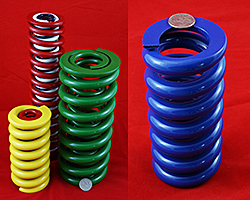 The larger sizes are available for heavier-duty applications. 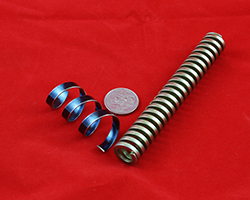 These compression springs are produced from a range of materials and are integral components for a variety of products, including high tech–precision instruments, military applications, industrial, automotive, agricultural equipment, appliances, toys and many other consumer products.